With your support in 2019, we will host the most compelling and memorable festival yet: COURAGE! 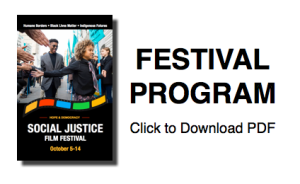 Over the last seven years, the Social Justice Film Festival has built a strong network of partnerships with non-profits and other organizations devoted to the cause of social justice through an artistic medium. From direct financial support as a sponsor to providing in-kind goods and services, there are many ways to make a tax-deductible contribution and link your organization’s name and logos with the social justice and film community. 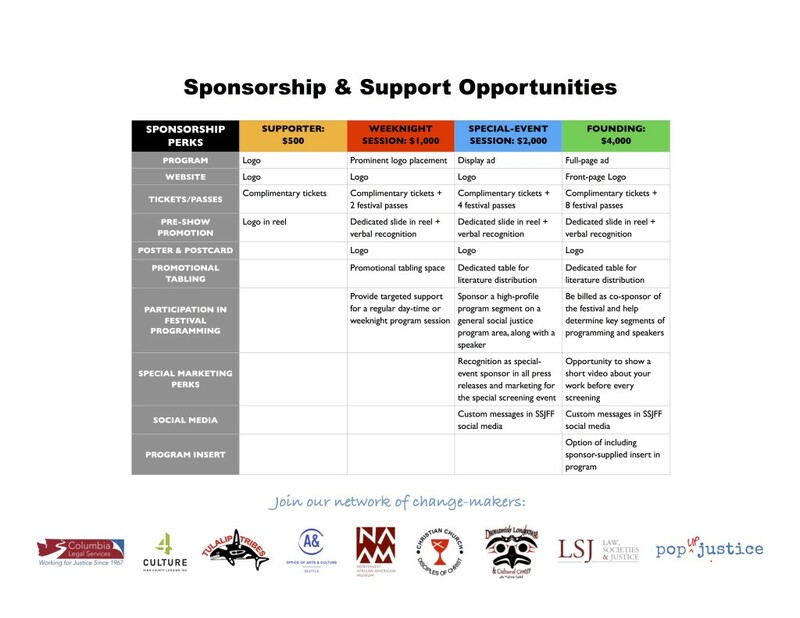 Click here to view or download our 2019 Sponsorship Levels. If you would like to join us as a sponsor, please fill out the form below and we will be in touch with you soon. Announcing our 2018 Jury Prizes! 2018 Official Trailer + Promo Now LIVE! 2018 Program and Tickets LIVE!